The fivefold ministry was commissioned by Jesus and works within the local church, which is the training ground for ministry. These ministers – apostles, prophets, evangelists, pastors and teachers- are coaches who equip and train God’s people in releasing His power for works of service. DOVE Canada recognizes and recommends the following fivefold ministers to mentor and release the believers in the Body of Christ. Lynn’s experiences as a house church leader for the past ten years, and her nursing consultant and educator roles in the Seniors sector have provided her many opportunities to support excellence in leadership and to share her passion for caring for those in need. Lynn strongly believes that the Church needs the creative gifts and abilities that women bring to all levels of ministry. Lynn desires to encourage and support women to purposefully step into their calling within church leadership. She loves to teach, to read and to write and to pray. 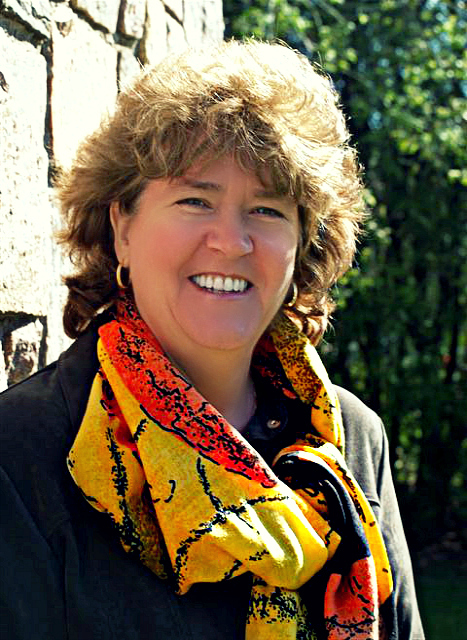 Lynn’s other passion is for building life giving and life long relational connections throughout the nations. 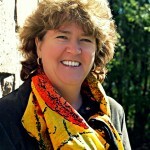 Lynn currently serves as the director of DOVE Canada Mission and as an apostolic leader on the DOVE Canada Apostolic Council. She is married to an amazing, gentle sweet man, Tom who is her greatest encourager, and they have four ‘fun’tastic (adult) children and two beautiful grandchildren. Ed has a Masters degree in Mathematics from the University of Waterloo. He has been married to Ginny for 52 yrs. They have 2 fine sons, Steve and Mike and 3 wonderful grandkids. Ed and Ginny (and others) founded New Life Covenant Community which eventually became a church known as DOVE Christian Fellowship Kitchener. Ed loves people. His calling as a Math teacher in the areas of Adult Education and tutoring has given Ed lots of open doors to see God’s grace in the marketplace. He has always had a heart for the common folk and their struggles. He is a natural spiritual father and is known for his servant’s heart. He enjoys meeting with people to encourage them in their walk with God. Ed is an avid reader and also enjoys old movies, hanging out with family and friends and fishing. He will gladly teach you how to put a worm on the hook. Ginny is a former registered nurse and is currently serving with her husband, Ed in his Apostolic ministry with DOVE Canada. In 1980 she helped to establish and lead New Life Covenant Community (where they still live). It eventually evolved into DOVE Kitchener by 1995. Ed and Ginny were the Sr. Elders of DCFK until 2005. Ginny has a strong desire to see Canada reach her destiny as a nation under God. She is currently passionate about what it means to be God’s sent ones who engage the culture around them and offer biblical community to change the world. Ginny’s giftings are pastoral, prophetic, wisdom, discernment and encouragement. She loves to mentor and encourage leaders, to help churches grow and remain healthy and to encourage women to reach their destiny practically and spiritually. Ginny has taught on such topics as Spiritual Parenting, Raising Children in Ministry, Releasing Women into their Destiny and Using Prayer and the Prophetic in Evangelism. She has been married to Ed for 52 yrs. and has two married sons, Steve (Rhonda) and Mike (Kate). She also has three amazing grandchildren. Ginny really enjoys sharing meals and lots of laughs with family and friends. Mark is an encourager, known for his intimacy with the Lord. He has a heart for evangelism. He operates in the prophetic and healing gifts. The Lord has given him many stories to share with others to encourage them. In 2008 the Lord gave Mark a word through a friend; “if you want Quebec it’s yours for the taking”. At the time he was a resident of Keswick, Ontario, longing to see revival there. In 2011 he visited family in Sherbrooke, Quebec and attended a teaching by a visiting pastor. During the teaching, this man whom he had never met began to prophesy over him that the Lord was going to re-locate him. Within a matter of weeks he left his life in Ontario and moved to Quebec. Mark had a keen interest in the global prayer movement and was delighted to discover a house of prayer in Sherbrooke. He soon became a full time missionary at the Quebec House of Prayer. He has committed himself to encourage and support the family of believers there as they contend together at the gates for the restoration of faith and ultimately revival in Quebec. Brian has a unique prophetic flavor to his teaching and leadership development skills. 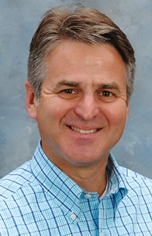 Brian Sauder currently serves on the International Apostolic Council of DOVE and directs the DOVE Training Schools. He and his wife Janet help to provide oversight and direction for DOVE churches in Canada, USA and South Africa. Brian & Janet have over 25 years of experience in leadership of churches, small groups, youth groups, government and business. Initially trained as an Industrial Engineer at Penn State University, Brian now provides others with the tools to design and build churches, ministries and organizations. Much of his time is spent traveling to oversee churches and in leadership training and development. Brian served nine years as an elected government official on the local public school board including two years as board president. Brian is the author of the book A Practical Path to a Prosperous Life that was birthed out of a personal revelation which has since become a life message. 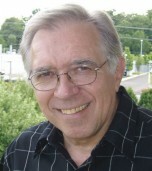 He is co-author of Youth Cells and Youth Ministry and The Biblical Role of Elders. He also compiled Helping You Build Cell Churches, a comprehensive training manual for pastors, cell leaders and church planters. Brian and Janet have five children and have been married for 28 years. They reside in Manheim, Pennsylvania. In 2008 they started a rental property business. They have discovered that in the busyness of life, a good cup of coffee, a round of golf or a book goes a long way towards relaxing and refreshing the soul.